In 1863, in command of the Department of the West, Johnston was criticized for his inaction and failure  in the Vicksburg Campaign. 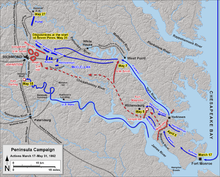 In 1864, he fought against Union Maj. Gen. William Tecumseh Sherman in the Atlanta Campaign. 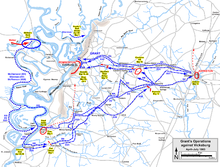 Facing an enemy with a massive numerical advantage, Johnston maneuvered to avoid having his forces surrounded or cut off from Atlanta, while looking for a chance to make a decisive stand that would turn back the tide. 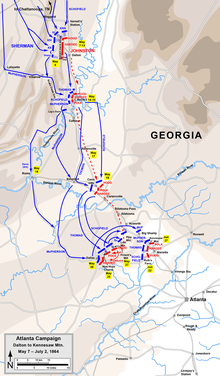 Although he successfully repulsed Sherman's attempt to defeat him through direct assault at the Battle of Kennesaw Mountain, he was ultimately outflanked again forced to withdraw from northwest Georgia to the outskirts of Atlanta. 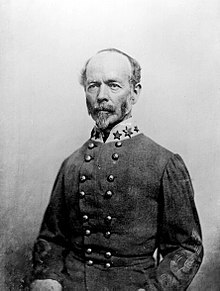 Fed up with Johnston's constant withdrawal from Confederate territory, Davis relieved him of command and replaced him with John Bell Hood. 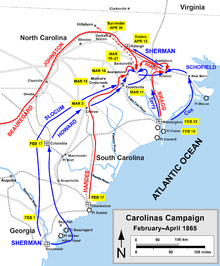 In the final days of the war, Johnston was returned to command of the few remaining forces in the Carolinas Campaign. 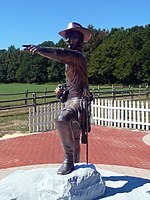 He surrendered his armies to Sherman at Bennett Place near Durham Station, North Carolina on April 26, 1865. 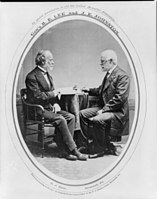 Union generals Ulysses S. Grant and Sherman both praised his actions in the war, and became friends with Johnston afterward. Johnston moved from Savannah to Richmond in the winter of 1876–77. He served in the 46th Congress from 1879 to 1881 as a Democratic congressman, having been elected with 58.11% of the vote over Greenback William W. Newman. He did not run for renomination in 1880. He was appointed as a commissioner of railroads in the administration of President Grover Cleveland. After his wife died in 1887, Johnston frequently traveled to veterans' gatherings, where he was universally cheered. In September 1890, a few months before he died, he was elected as an honorary member of the District of Columbia Society of the Sons of the American Revolution, and was assigned national membership number 1963. In the alternate history short story " Must and Shall" by Harry Turtledove (set in 1942 in a world where the Union won the Civil War under different circumstances than in our timeline), Johnston — along with Jefferson Davis and Robert E. Lee — is among Confederate leaders implied to have been executed by hanging. 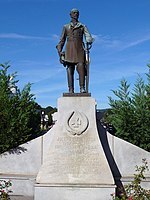 Conversely, in the same author's novel The Guns of the South, time-displaced AK-47s allow Johnston to repulse Sherman's March and preserve the Confederacy. In Turtledove's War Between the Provinces high fantasy, Johnston is represented by Count Joseph the Gamecock.